All rooms at Mercure Penrith have been revamped and given a fresh lick of paint. 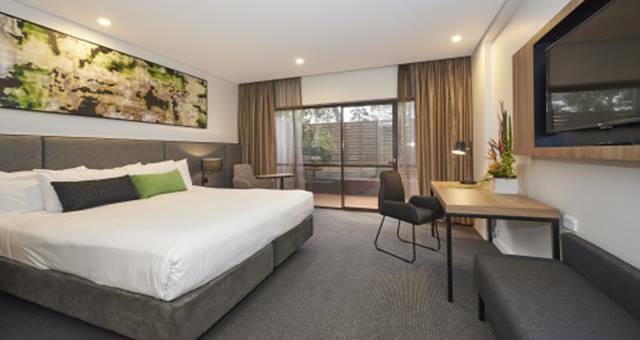 Mercure Penrith has revitalised its guest rooms as part of its $5 million upgrade. Standard-sized beds have been replaced with extra-long beds and ambient lighting solutions have been installed to suit different areas of rooms including warm lighting in bedrooms and backlit mirrors in bathrooms. For business travellers, envelope laptop tables and plentiful USB ports are now available in room. General Manager, Kellie Stapleton, said the hotel’s new look rooms were designed based on guest feedback and have already been well received. Mercure Penrith is located in Western Sydney, at the base of the Blue Mountains and is next door to Penrith Panthers World of Entertainment.